With adventurous crossover projects coming one after another from Yo-Yo Ma, it's nice to be able to revisit some of the performances that brought him to the top of the heap among cellists and among classical musicians in general. 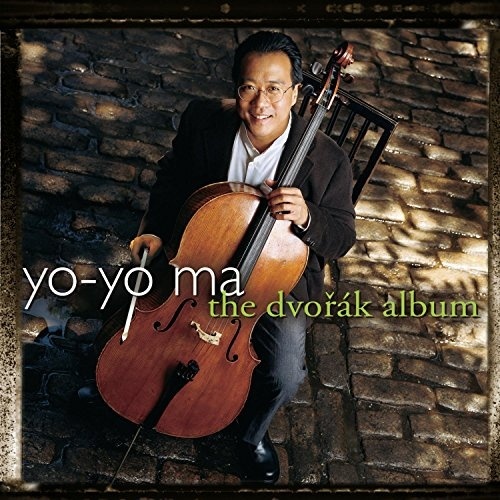 This disc includes Dvorák performances by Ma from various 1990s discs, with his lovely 1995 reading of the Cello Concerto in B minor, with Kurt Masur leading the New York Philharmonic, as the centerpiece. This is a restrained version that might not be the first choice of those who like their Dvorák tilted toward Tchaikovsky, but in the lyrical passages it truly soars. Ma's rendering of the concerto's "American" theme, the second subject of the first movement, is classic. Similarly attractive is the six-minute cello-and-orchestra movement entitled Klid (Silent Woods), inexplicably seldom presented on disc with the Cello Concerto even though it's cut from the same melodic cloth. The disc is rounded out by transcriptions, by the Czech-Canadian composer Oskar Morawetz, of the Slavonic Dance in E minor, Op. 72/2 and the Humoresque in G flat major, Op. 101/7, along with "Songs My Mother Taught Me," from the Gypsy Melodies, in a cello-and-piano arrangement by Fritz Kreisler -- a solid finale. Klid and the two short orchestral transcriptions come from a session of Boston Symphony Orchestra performances recorded in Prague in 1993. Neither these nor the New York Philharmonic concerto session are particularly well engineered; there is a disconcerting level of background hiss in both cases, and the sound on the concerto is a bit brittle. Still, these are state-of-the-art readings from the premier cellist of our time, and they make a fine place to start with Dvorák for newcomers.